Wander Jacket- Mens is rated 4.8 out of 5 by 8. Rated 3 out of 5 by CLH1983 from Good quality - weird sizing As always, good high quality gear. The problem is that sizes vary greatly between different products which makes it very difficult to order online. Rated 5 out of 5 by Chan123 from Warm and functional A perfect layering piece, for everyday use or moderate output activities. A bit on the heavier side, so might not be recommended for technical high output outings. About durability, can't comment yet, but hope it to stand to the same standards expected from the brand for the price. 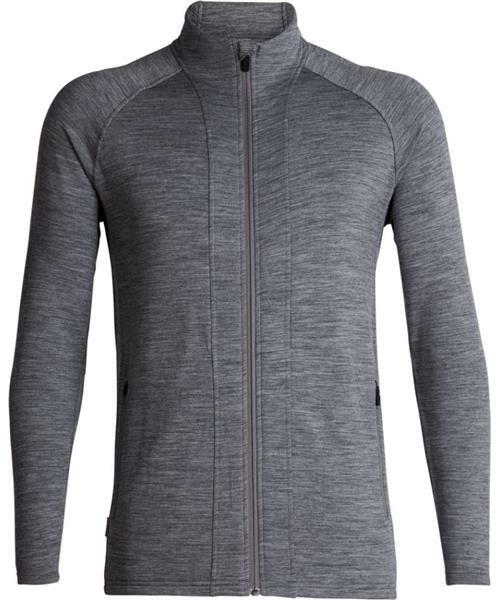 Rated 5 out of 5 by Sportnrd from A polyvalent sweater As stated in the description. You can wear it as a midlayer when playing outside or as a casual sweater while working. Rated 5 out of 5 by ScoobyLou from Great after-sport jacket After a day out skiing, this is a great piece to throw on to keep warm. Comfortable, it fits well and looks good. Rated 5 out of 5 by SureP from Great layer I have a blue one and love it easy to pack and warm.